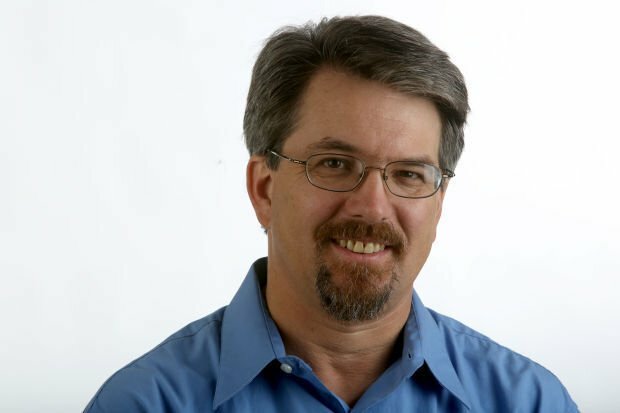 Tim Steller, columnist at the Arizona Daily Star. Retired ATF agent Jay Dobyns’ lawsuit against the federal government alleged they broke a settlement deal with him and mistreated him, in part by calling him a suspect in the 2008 arson of his own Tucson home. Newly unsealed documents in his case suggest that the government misbehaved during the trial in 2013, leading to DOJ attorneys being barred from filing further documents in the case. More eerily, the misbehavior may have extended to surveillance of Dobyns’ Phoenix attorney even up into this month. For people like me, who have sympathized with Dobyns but tried to reserve judgment about his case, the documents push us further into the retired agent’s camp. You can’t read the few filings that have been unsealed in the case without wondering why the Justice Department is going to such extremes and spending so much on what is, at base, a relatively minor contractual dispute that could have ended years ago. The case began in October 2008, went to trial in 2013 and reached an apparent conclusion in August 2014 when Court of Claims Judge Francis Allegra awarded Dobyns $173,000, a fraction of what he had demanded. But in between, Dobyns published a book about his infiltration of the Hells Angels and became a fierce critic of the agency’s Operation Fast and Furious, a Phoenix-based investigation that led to thousands of guns being smuggled into Mexico. Maybe that’s why, when I took a peek into the sealed courtroom in June 2013, the Justice Department had four attorneys and two paralegals at their table, to Dobyns’ one attorney and one paralegal. One area in which Allegra decided deception had occurred was in the treatment of Thomas Atteberry, the special agent in charge of ATF’s Phoenix office, and Carlos Canino, then the assistant special agent in charge of the agency’s Tucson office. In 2012, a Justice Department attorney, Valerie Bacon, asked both Atteberry and Canino not to reopen the investigation into the arson at Dobyns’ Tucson home because it could hurt the Justice Department’s defense in this case. Atteberry and Canino were listed as witnesses in the case, but the judge didn’t hear about the DOJ effort to squelch the investigation until the trial, which he considered a concealment by the Justice Department. They went ahead and reopened the case, which remains unsolved, anyway. More alarming was the other “fraud on the court” that Allegra cited: “An ATF agent who testified in this case may have been threatened by another witness during the trial.” Justice Department attorneys ordered the agent not to report the threat to the court or he would face repercussions, Allegra said. A separate filing by Dobyns’ attorney, James Reed, identifies the threatened agent as Christopher Trainor and says the threats have since been reported to the Justice Department’s Office of Professional Responsibility. In earlier years, Trainor conducted an internal investigation into ATF’s handling of the fire at Dobyns’ home. Understanding the Dobyns case through its sporadically unsealed filings can be a bit like trying to grasp a book by reading every 10th page, but it seems that this apparent misconduct by the DOJ attorneys is what led Allegra to make a dramatic ruling on Oct. 24. That day, he barred seven Justice Department attorneys who had led the case until then from making any further filings in the case. The DOJ is fighting that ruling. Reed reported in his filing that he asked a retired ATF agent whom he knows, Joseph Slatalla, an expert in surveillance, about his experiences. Slatalla was also a witness in the Dobyns case. In fact, after Slatalla met Reed at his law office in December, someone driving a car parked at the office followed Slatalla home, Reed wrote. Reed asked the judge to schedule a status conference to discuss the apparent surveillance and whether it is being conducted by the Justice Department. Let’s assume for a minute that Reed is imagining things — or at least that if he is being watched, it isn’t by the Justice Department. Let’s even assume that the “fraud on the court” that Allegra has found was just an innocent misunderstanding. It still boggles the mind why the DOJ has fought Dobyns so hard for so long and at such great cost, even after a loss at trial that was so narrow it could almost be called a win.